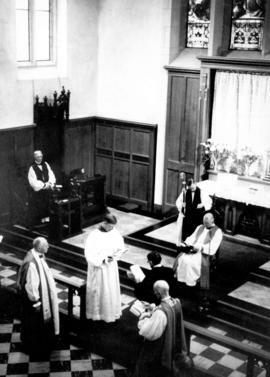 A Kwagutl version of portions of the Book of common prayer. 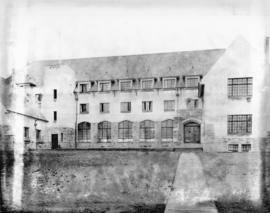 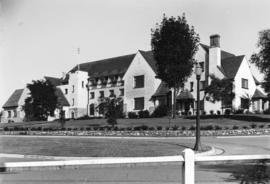 Photograph shows exterior of college building. 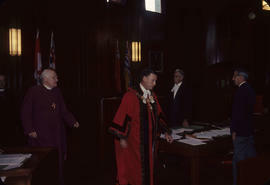 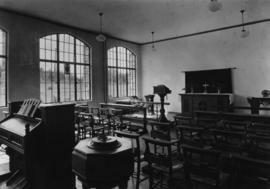 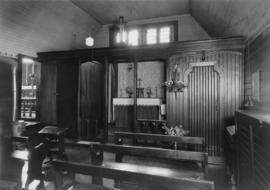 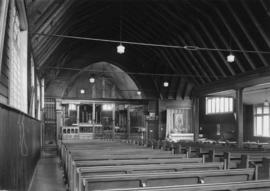 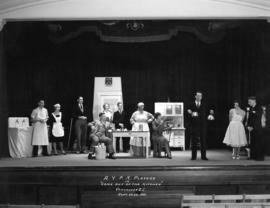 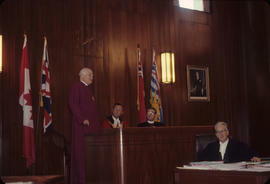 Photograph shows interior of college, with chairs, podium, altar, and other items. 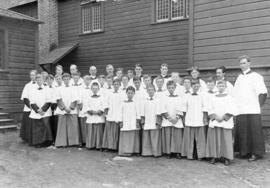 Christ Church Choir, Vancouver B.C. 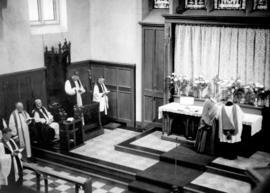 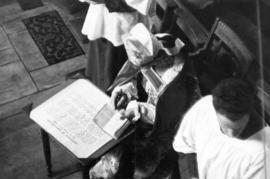 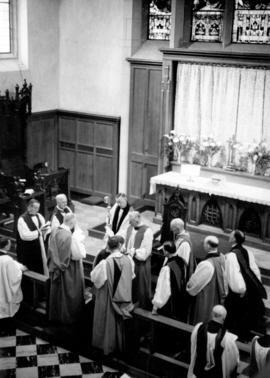 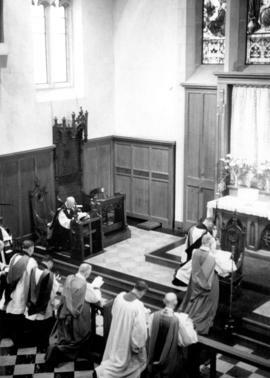 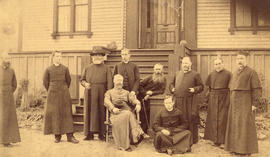 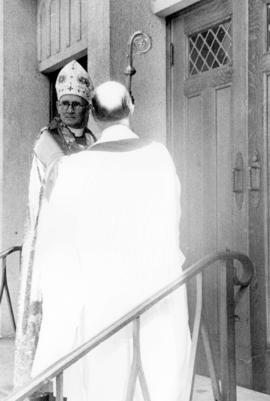 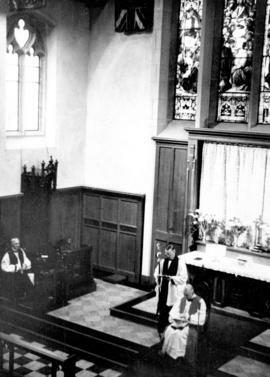 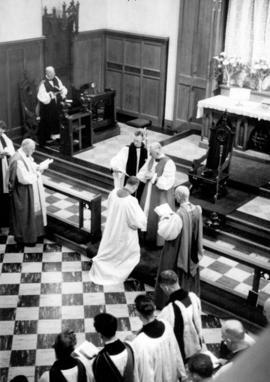 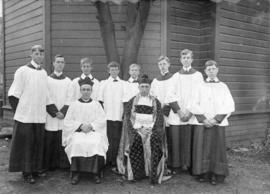 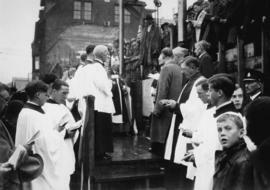 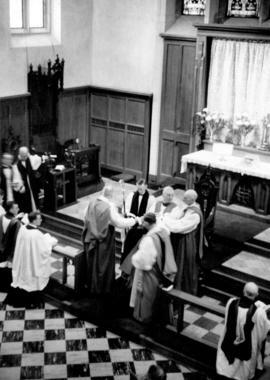 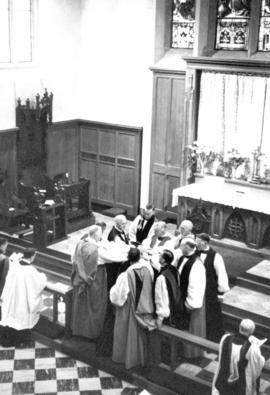 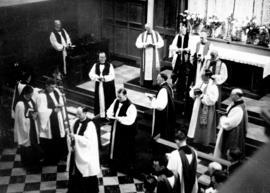 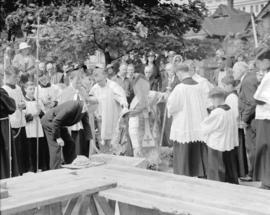 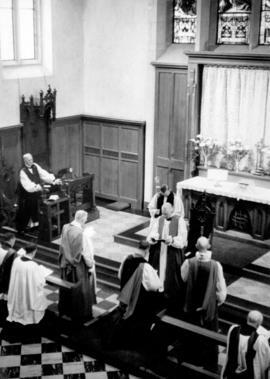 Church work in British Columbia: being a memoir of the episcopate of Acton Windeyer Sillitoe, first Bishop of New Westminster. 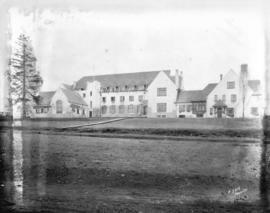 Crickmer diary, Derby and Yale, 1858-1860. 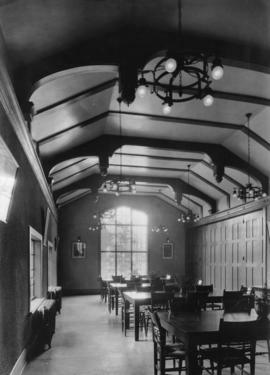 Photograph shows tables and chairs, window, ceiling beams, and other details of the room. 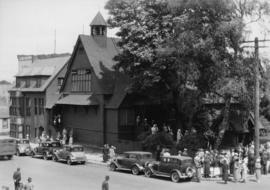 Photograph shows people on sidewalk and steps outside church at 303 East Cordova Street. 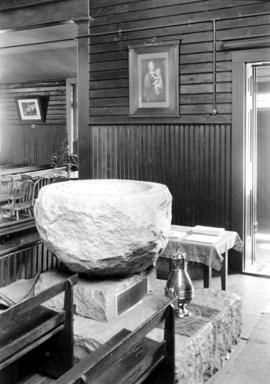 Photograph shows font created from a boulder found on Richards Street by the second rector (Father F. G. Clinton) around 1888. 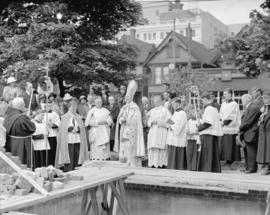 God's little ships : a history of the Columbia Coast Mission. 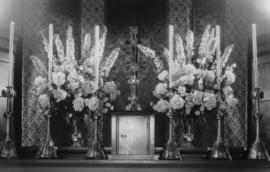 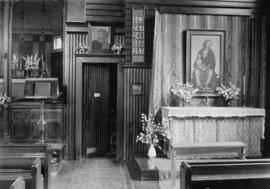 Photograph shows altar, pews, and other interior elements of the church at 303 East Cordova Street. 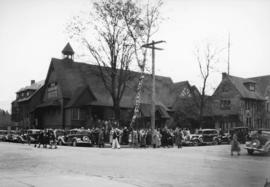 Photograph shows people exiting the church and assembling on the sidewalk. 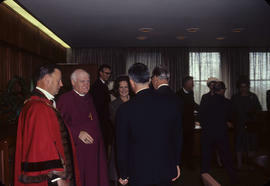 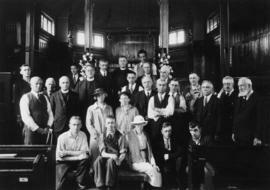 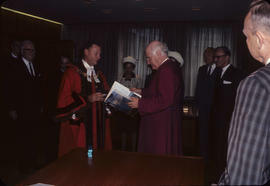 Photograph shows church officials and members of the congregation at construction site. 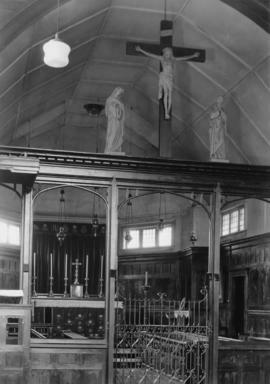 St. James' Church Vancouver B.C. 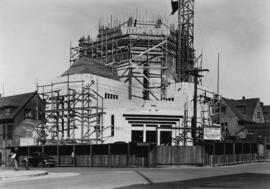 Photograph shows partially completed building surrounded by scaffolding. 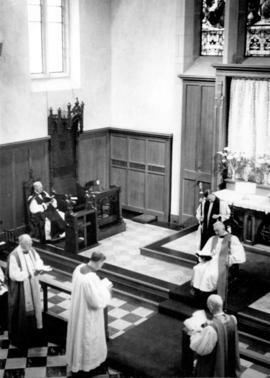 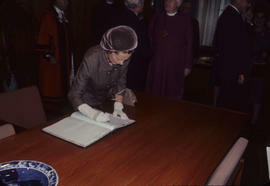 The Anglican Church of British Columbia.